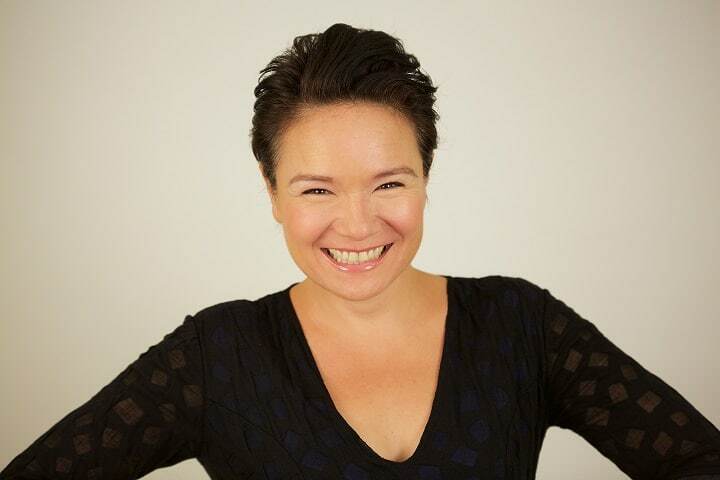 Jennifer Podemski is an award-winning, Gemini-nominated actress and producer best known for her roles in Bruce McDonald’s acclaimed feature film Dance Me Outside, CBC’s The Rez and Degrassi: The Next Generation. In more recent years, she has spent most of her time working behind the camera as a producer, writer and director with Redcloud Studios, her independent production company. SDTC: Can you describe your career trajectory to get to where you’re at now? JP: I trained for many years to be a triple threat: dancer, singer, actress. When I was in the high school for performing arts in Toronto, I began working as an extra on TV and film projects and I guess I got the bug. I knew I wanted to direct and produce. It wasn’t until I was 25 that I took the leap of faith and put my acting career on hold and opened my first production company. I so desperately wanted to make a change and do something about the absence of indigenous voices and perspectives in film and TV. And today, at 43, I am committing to my original dream of being a director; that is where my efforts will be focused. I have a 4 and a 6 year old, so no day is typical. They are growing up so fast and I am just trying to keep up. Recently, my kids began sleeping in their own beds. I am a fierce advocate of co-sleeping. After 6 years, my husband and I get to sleep together! We typically wake up early, my husband and I have coffee while we putter around the kitchen and make lunches while the kids eat breakfast. Maybe we eat too, or make a shake, something like that. We are very committed to our morning routine and we do our best to keep it up. Kids go to camp or school and by 9 AM we are both working. I live in Barrie, so sometimes I am doing the commute to Toronto for meetings, but for the most part I work from home. Kids are home by 4 pm and that is typically family time. We spend a lot of time in the kitchen, hanging out, listening to music, cooking and catching up on the day. I find that the time between after school and bedtime goes so fast and I want to be “in” it and available to my kids. There was a time in my life when I had so much guilt around being a producer and not wanting to act full-time. I shared my anxiety with my agent (at the time) Celia Chassels, and she told me that I can do it all. There is no reason to limit myself or my goals. I can do all of those things at once and be successful. I will never forget how relieved I felt, it was like she gave me permission to fly. The other piece of amazing advice came from my dad. I remember he picked me up from the airport after my first husband had declared that he wanted a divorce and didn’t love me. I was so broken. I got into the car and my dad had a braid of sweetgrass there (on my First Nations side we use this for cleansing and prayer), some Kleenex and a note that said: common ground, common values, common goals. He told me that those were the most important values of a good relationship. I believe I have that today and I am so grateful. Next year will mark my 11th Indspire Awards. When I began producing this (award-winning) awards show, it was called the National Aboriginal Achievement Awards and it has been such a wonderful and rewarding journey. It is the only show of its kind that celebrates outstanding Indigenous Canadians who are changing the world. I also get to work with some of the most talented performers in Indian country and I am just so grateful to be a part of it. I am also in the new season of a great show on APTN and TVO called Hard Rock Medical (out in 2017). I can’t say enough about this show; it is just so good and I had such a blast shooting it. I am also proud of my series, The Other Side. It’s a paranormal investigative show from an Indigenous perspective and we are in our third season (which airs on APTN on October 29). I am also honoured to be included in this years Birks/Telefilm Women in Film honourees. There will be a gala held at TIFF and a huge spread in Elle Canada‘s September issue. I am just tickled about it! There’s so much more! I am feeling very grateful and very busy and after 25 years of pounding the pavement, my career is finally taking off! Ugh, forties are awesome. If I only knew then what I know now. I guess I am more comfortable in my skin, I am confident in who I am and inside I still feel like a kid but I have way more wrinkles and grey hair and jiggles where I didn’t have jiggles before! Follow Jennifer on Twitter and Instagram.